Over the past decade and a half I’ve been keeping a mental list of frequently encountered misconceptions about flying. For some reason, I recently Googled “aviation myths” and found quite a few articles on the topic and it inspired me to finally set my own list to virtual “paper”. This list is not exhaustive, but it does represent the myths I encounter most frequently. Some of these are misconceptions held by non-pilots, others are more common among student aviators or even experienced professionals. I’ve written about a few of these in the past, but thought it might be worthwhile to throw the whole list out there for others to chew on. I’m planning to make this a three-part series, with five myths per post. Have you encountered any of these before? Do you disagree with any of them? If so, I’d love to get your feedback. OK, here we go! Myth #1: Logging “actual IMC” is only allowed when flying in clouds or low visibility. Some aviation myths and misconceptions are absurd while others are entirely understandable. This one falls into the latter category. Even a non-pilot would find it logical to assume that logging flight time in the “actual IMC” column would require one to actually fly in instrument meteorological conditions (IMC). Thankfully for those of you who are attempting to build instrument time, it ain’t necessarily so. 14 CFR 61.51(g) states that “A person may log instrument time only for that flight time when the person operates the aircraft solely by reference to instruments under actual or simulated instrument flight conditions.” In other words, any time conditions are such that maintaining control of the aircraft by outside visual reference is in serious doubt and the instruments are used in lieu of those references, one may log actual IMC flight time. The classic example of this situation is flying on a dark, moonless night over unlighted terrain (desert, ocean, mountains, etc). If John F. Kennedy, Jr. had realized this, he might be alive today. He took off from New York and headed toward the island of Martha’s Vineyard on just such a night. The reported and actual visibility was far above VFR minimums. In fact it was a CAVU night. Unfortunately, without any discernible horizon to look at, his situation required flying on the instruments. It’s not something primary or instrument instructors often pass along to their students, but we should. If my word isn’t sufficient on this issue, here’s an excerpt from an FAA legal opinion issued by the agency’s Assistant Chief Counsel. As you know, Section 61.51(c)(4) provides rules for the logging of instrument flight time which may be used to meet the requirements of a certificate or rating, or to meet the recent flight experience requirements of Part 61. That section provides in part, that a pilot may log as instrument flight time only that time during which he or she operates the aircraft solely by reference to instruments, under actual (instrument meteorological conditions (imc)) or simulated instrument flight conditions. “Simulated” instrument conditions occur when the pilot’s vision outside of the aircraft is intentionally restricted, such as by a hood or goggles. “Actual” instrument flight conditions occur when some outside conditions make it necessary for the pilot to use the aircraft instruments in order to maintain adequate control over the aircraft. Typically, these conditions involve adverse weather conditions. instruments is necessary is somewhat subjective and based in part on the sound judgment of the pilot. case the pilot later would be called on to prove that the actual instrument flight time logged was legitimate. I have logged actual IMC this way. Once you leave the Los Angeles basin, flying over the desert southwest on moonless nights can necessitate being on the gauges every bit as much as flying in a cloud. Even if there is some moonlight or a small town out there, the ambient light put out by today’s glass panels can obliterate the view out the windscreen. In those cases it’s completely legitimate and proper to claim that time in your logbook. Myth #2: Flying without appropriate charts is illegal. In my experience, this is one of the most pervasive myths out there. As with logging actual IMC, it makes sense. Why wouldn’t the FAA require pilots to carry current versions of whatever pertinent charts applied to their route of flight? Answer: 14 CFR 91.103 already requires pilots to becoming familiar with “all available information” concerning a flight. How an aviator obtains that information is up to them. Simply requiring a person to carry a large folded piece of paper isn’t going to necessarily familiarize them with anything. Believe me, as an instructor, I see that truism put to the test every day. I’ve seen pilots with a 14″ color moving map display have absolutely no idea where they were or where they were going. As far as the charts are concerned, the FAA details their policy on chart carriage on their web site. …”since some pilots thought they could be violated for having outdated or no charts on board during a flight, we need to clarify an important issue. 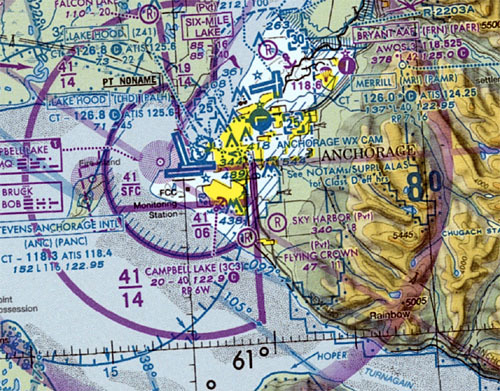 As we have said, it is NOT FAA policy to initiate enforcement action against a pilot for having an old chart on board or no chart on board.” That’s because there is no regulation on the issue. 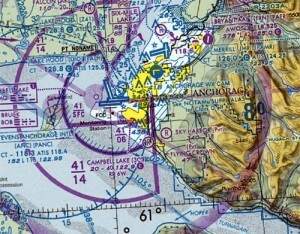 …”the issue of current chart data bases in handheld GPS receivers is a non-issue because the units are neither approved by the FAA or required for flight, nor do panel-mounted VFR-only GPS receivers have to have a current data base because, like handheld GPS receivers, the pilot is responsible for pilotage under VFR. If you, as an FAA Safety Inspector, Designated Pilot Examiner, Flight Instructor, or other aviation professional are telling pilots something other than the foregoing then you are incorrect. From a practical standpoint, some airplanes like the Pitts S-1 are so small that there’s no place to carry a chart. Even if you wanted to use one, how would you do so when the airplane is about as stable as an Robinson R-22 in a hover? Can you imagine the pilot of a Cri-Cri or BD-5J trying to use a chart while in flight? I’m not discouraging chart usage. Quite the contrary, I carry them myself. In fact, there are times when it is legally required. The aforementioned Part 121, 135, and 91 Large Airplane rules call for it when flying under those regulations. Some Class B VFR airspace transitions require a current terminal chart (the LA Special Flight Rules Area comes to mind). But for the most part, they are not legally required for Part 91 operators, even when flying under IFR! Myth #3: Perfect eyesight is a requirement to be a pilot. This one is a holdover from the days when most pilots came from the ranks of the military, which did require perfect eyesight. Even today most branches of the military require 20/20 vision (or better) for pilot candidates (helicopter requirements are occasionally a bit less stringent). But even they will allow for corrective lenses in many cases once they’ve invested the seven figure sums that it requires to transform a person into a mission-qualified aviator. The FAA’s vision requirement for civilians is — and has been for many years — that a pilot’s eyesight be correctable to 20/40 for non-professional aviators. Those requiring a first- or second-class medical certificate must be correctable to 20/20 for distant vision and 20/40 for near vision. Color blind? No problem. You can still fly with virtually no restrictions. In fact, you can obtain a medical certificate even if you’ve only got one eye. Pilots can get medical clearance after major brain surgery. While on anti-depressants. After heart and other organ transplants. You can even fly if you’re completely deaf! I’m aware of at least one pilot, a woman named Jessica Cox, who has no arms and still flies her aircraft solo. She demonstrated that she could do everything necessary to safely operate the aircraft using only her feet. These days, you can fly gliders and Light Sport aircraft without any medical certificate at all. Old airport codgers may complain about how things ain’t the way they used to be, but in this case that’s a good thing. Myth #4: TBO is mandatory. Time-between-overhaul intervals are not well understood by most aircraft owners. For one thing, while most pilots understand that manufacturers establish a recommended hourly interval between major overhauls, they are often unaware that overhaul is also recommended once it reaches 12 years of age. This is important because most mechanics will tell you that the greatest enemy of piston aircraft engines is lack of use. One of the easiest ways to maximize engine life is to simply fly the plane frequently. This ensures the oil is brought up to operating temperature, any water in the system is boiled off, and the internal parts of the engine are coated in a protective layer of oil. For non-commerical operators, TBO intervals are simply recommendations. There is no legal requirement to overhaul an engine at any time. Nor does exceeding TBO void insurance or warranty coverage. Plenty of people take published TBO intervals with a grain of salt, preferring instead to allow oil consumption, spectrographic oil analysis, borescope inspections, and other such metrics dictate when the engine is ready for overhaul. Even commercial operators don’t necessarily have to overhaul at TBO. The FAA often grants extensions to those intervals by as much as 50% or more. Myth #5: Repairs must always be accomplished using FAA-approved parts. Let’s say you’re fortunate enough to fly an original 1917 Sopwith F-1 Camel — one of the preeminent fighters of the first World War. Where are you supposed to go for parts? They stopped manufacturing them nearly a century ago. Okay, that’s an extreme example. But there are plenty of orphaned aircraft types still flying. Even among those that are still supported, parts can be exorbitantly expensive, even to the point of rendering an otherwise fine aircraft economically unfeasible to maintain. Thankfully, 14 CFR 21.303(b)(2) and 21.9 allow owners of an aircraft — any aircraft, not just a vintage warbird — to manufacture parts for their airplane or pay someone to make them as long as the replacement part is identical to the original. The only caveat is that the owner must participate in the manufacture of the part by providing specifications, design information, quality control, materials, and/or supervising the fabrication of the item. A personal example: a Pitts S-2B in which I share ownership needed a new seat back for the pilot’s seat. The old one was cracked and slowly failing after years of hard aerobatics. Now this is literally a flat rectangular piece of half-inch plywood with wood blocks attached to the back side to hold it in place. No fancy curves, shapes or fasteners. Just a plain old piece of wood. As I recall, the manufacturer of the Pitts series of biplanes, Aviat, wanted something close to thousand bucks for that part. We were able to manufacture one for a few dollars. If you’re the kind of person who’s handy and has access to the proper tools, you can manufacture any part for your aircraft. A wing spar, a new crankcase, a propeller, and anything in between. If you’re not so handy? You can still hire a machinist, friend, or virtually anyone else to make the article as long as you materially participate in the process and create a part that is identical to the original in form and function — in other words, “airworthy”. EAA posted an 85-minute video last August entitled “Owner Produced Parts for Certificated Aircraft” which covers this topic in great detail. Nobody knows it all. That’s what makes aviation so intriguing. If we’re smart, we’ll keep learning new things throughout our flying careers. One myth I have noticed…in movies and TV shows where a plane or a person in a plane vanishes, the gumshoe always asks “did they file a flight plan?”. 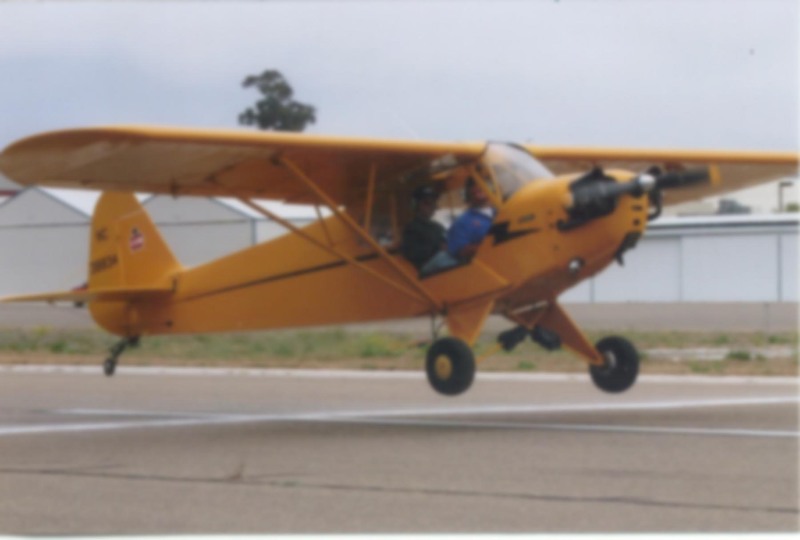 Imagine my horror on my first day of flight training-when I asked my instructor this very question-and his response, at least for the VFR stuff I was dong-nobody files a flight plan!! Someone needs to tell hollywood scriptwriters they are getting it wrong. Good catch. I don’t know what’s behind Hollywood’s obsession with flight plans. Probably has something to do with the fact that many — perhaps most — people who are not involved with aviation mistakenly assume that nobody would ever so much as *think* about going flying without providing all the details to the government first and receiving their tacit approval. How sad is that? The fact that we can take off and fly around without asking anyone’s permission, without even having a destination in mind, is foreign to them. I don’t understand it; a hundred million people do that every day with their car. It is sad, and ironic if true, because one of my instructors always says that for him, one of the supreme joys of flying is the great freedom he feels when he is in the air! I doubt the general public would approve this sentiment….. it being exactly 180 degrees from what they apparently think!